CCTV will play a crucial role in the investigation into the deaths of three young teenagers following a suspected stampede at a St Patrick's Day disco last night. 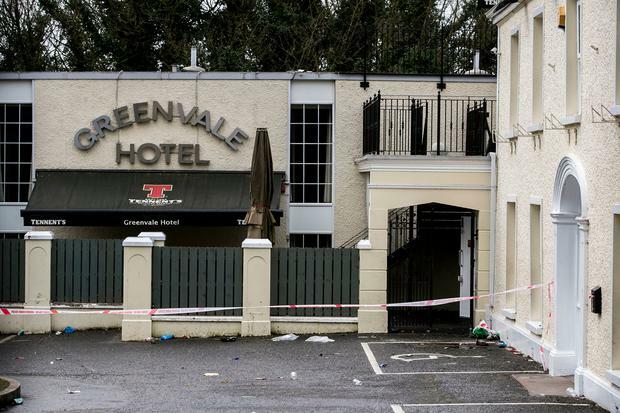 Three more people were hospitalised with serious injuries following the incident at the Greenvale Hotel on the Drum Road in Cookstown, Co Tyrone. Two fatalities were confirmed last night, and police this morning issued a statement saying a third teenager has now tragically passed away. The three teenagers who died were a 17-year-old girl, a 17-year-old boy and a 16-year-old boy. "A major investigation is now underway, however preliminary information suggests a crush took place towards the front door," a PSNI spokesperson said. Assistant Chief Constable Mark Hamilton said from his understanding, the event was not an underage disco so a "full investigation will be carried out as to why the young people were there". Independent.ie has learned that the PSNI has footage that recorded the sequence of events and will help identify how the horror unfolded. It is believed a crowd of young people had gathered at the hotel to gain access to a disco to which the doors were due to open at 9.30pm, according to local SDLP MLA Patsy McGlone. “But it seems that just before the doors were to open, at around 9.25pm there was a crush at the door and people began to fall,” he said. Local sources say the three dead teenagers are from the Dungannon area. Emergency services were called to the hotel about 9.30pm. Five emergency crews, paramedics and doctors were dispatched to the scene. A multi-agency response was launched involving the PSNI and the Northern Ireland Ambulance Service (NIAS). Earlier today Mr McGlone spoke to the media at the entrance to the hotel, which remained sealed off as the investigation into the tragedy continued. “The reaction here last night and in the early hours of this morning is one of shock. People really are at a low ebb this morning. It’s a huge loss in the community,” he said. “Youngsters going out for a disco on St Patrick's night. Everybody, their families, all thinking they are safe and well, and then the news turns differently. “Out and about this morning speaking to people their hearts feel for the families of the youngsters who have died here,” he added. “What went wrong is the subject of a police investigation at the moment, and it’s best to leave that in the hands of those who are tasked with that to establish. As the police outlined this morning they have some CCTV footage. Anyone who witnessed what happened here last night should please come forward and give that information to the police so that a proper and full investigation can be pursued,” Mr McGlone explained. “I’ve already spoken to the local health trust, the chief executive and one of the directors this morning, and I've liaised with the GAA and the police here to make sure that any counselling g that can be made available is made available for those involved with the incident. “But I'm sure there may well be staff and indeed some of the emergency services who will require that support. The health trust have what they call a hub meeting tomorrow morning to decide how best to take that forward,” he added. Police are appealing for anyone who witnessed the incident to get in contact. They urged parents to talk to their children and encourage them to come forward to describe what happened. Assistant Chief Constable Mark Hamilton also warned for people to avoid posting videos or photos of the incident online. "Please share them with the PSNI," he said. Sinn Feín’s Michelle O’Neill also spoke at the scene this morning. “Obviously there's a deep sense of shock in the community here, a deep sense of loss, and our first thoughts and prayers are with the families of those who have lost their children last night,” she said. “Three young people have lost their lives so tragically and I can't even fathom as a parent how those families are feeling this morning, so I suppose today it's all about the families, and it's all about making sure the supports are there for the young people that were here,” she added. “We’re speaking to the education authority and to other support services to make sure that there are supports on the ground, and for places for young people to go and talk to someone about their feelings and what they witnessed last night,” said Ms O’Neill. “We’ve just come from a meeting with the PSNI and there is a major investigation underway and I would take this opportunity to encourage all parents and all young people who were here last night to come forward to try to piece together what happened here in such tragic circumstances, to try and allow for a full investigation and for the police to have all the facts,” she explained. It is understood that casualties had to be resuscitated with defibrillators at the hotel after suffering crush injuries. 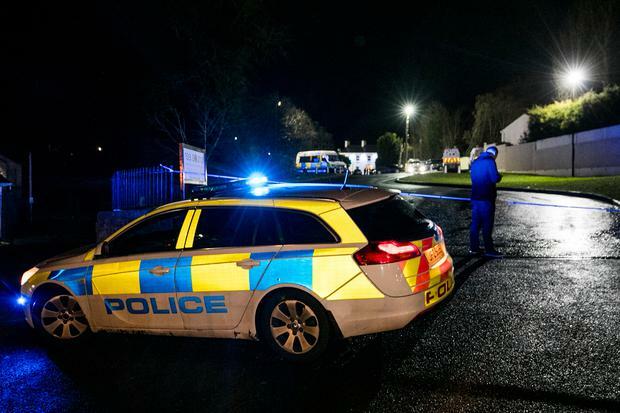 The NIAS said in a statement: "The Northern Ireland Ambulance Service received a number of calls from 21.30 on Sunday March 17 following reports of a number of people having sustained serious injuries at an incident in the Drum Road area of Cookstown. "NIAS despatched two rapid response paramedics, two doctors and five emergency crews to the scene. "Three patients have been taken by ambulance to Antrim Area Hospital for treatment for various injuries and another to Craigavon Area Hospital. The Drum Road in Cookstown was closed off in the wake of the incident to facilitate the emergency response. Chief Inspector Graham Dodds said: "The St Patrick's event is now over, I would appeal to parents to contact their children, collect them immediately." Local councillor Trevor Wilson said he had been phoned from the scene by a witness. "There was a St Patrick's night event in the hotel and it was full of young people," he said. "There seems to have been a stampede, and a number of people have been badly injured. I know that the police are treating it as a major incident, and all the emergency services are on the scene . It's terrible news," the UUP councillor said. DUP leader Arlene Foster was among those responding to last night's tragedy. In a social media post, she said her thoughts and prayers were with everyone affected by the incident. Sinn Fein vice-president Michelle O'Neill tweeted: "Heartbreaking news coming from Cookstown tonight. A parents worst nightmare. My thoughts and prayers are with the families."